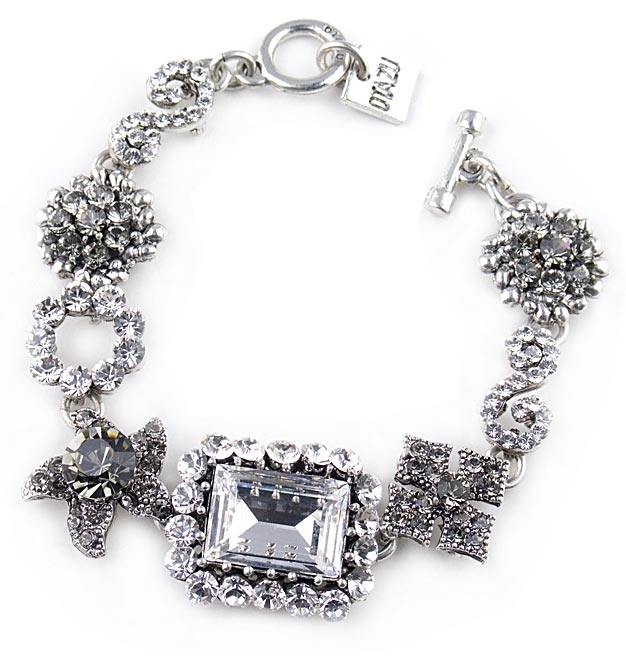 Silver charm bracelet with Swarovski crystals by Otazu. This gorgeous designer bracelet features a range of crystal charms all covered with Black diamond and crystal swarovski crystals, each one with a different design. Bracelet measures 20cm / 8 " in length. A classic Otazu piece that also makes a perfect gift. Length: 20cm / 8 "